Powerclean is a local business established in the year 2000 based in Thetford. 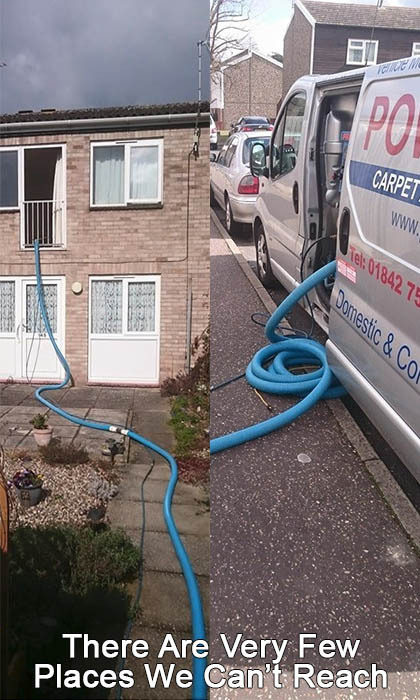 Covering Thetford, Brandon, Bury St Edmunds as well as Lakenheath, Mildenhall, Watton and surrounding areas, Powerclean is different from most carpet and upholstery cleaning companies due to the vehicle mounted system we use. This system allows for quicker cleaning and most importantly much quicker drying times. Just check our before and after photos page to see some typical results we can achieve.